Positive thinking seems to be more challenging these days, doesn’t it? I think it has a lot to do with social media and our instant access to, well, everything. We now know the news as it happens, what our friends had for breakfast, and everything else you can think of. Social media is amazing like that, but it also has a dark side. 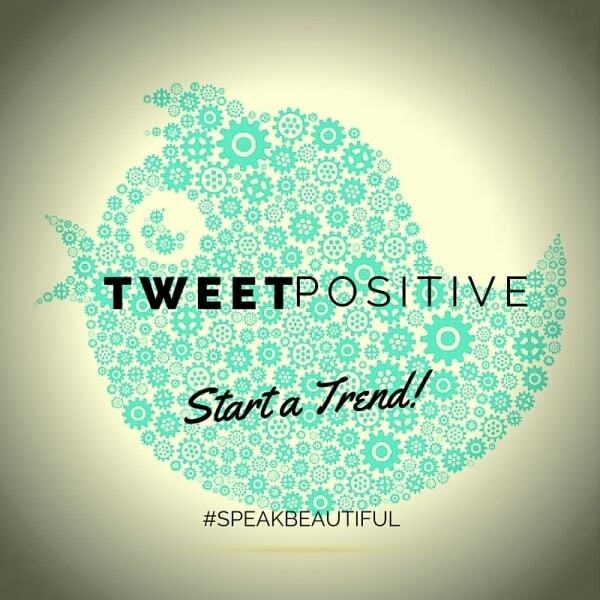 Did you know that last year women sent out over 5 million negative tweets about beauty and body image? Not cool, ladies. We need to change this. Post sponsored by Lunchbox. Opinions are 100% my own. Not all of those 5 million tweets were directed at other people. Many of them were simply women voicing their insecurities about themselves. I am so guilty of this. I am not one to criticize what someone is wearing at the Oscars, but I don’t think twice about putting myself down. Fun side note: If I ever feel like talking smack about what anyone is wearing while watching an awards show, I like to surprise myself with a front-facing camera shot. That’s a quick reminder that I am most likely in sweats, no makeup, messy bun, and a giant dog face t-shirt. I have no business to cut down another woman! Back to the point. We need to change the vibe out there. We need to spread positivity, not hate and throw shade, or whatever the kids say these days. Personally, I need to stop beating myself up, even if it is sarcastically. Rite Aid and Dove are coming together to show just how amazing things can be when you Choose Beautiful + Together. Buy $12 in Dove Products at Rite Aid and earn 300 Plenti Points (limit 1). Plenti Point offer good from 9/18/15 through 9/26/15. Dove Sensitive Skin Personal Wash – Mild cleanser that works up a rich lather and rinses away clean. Leaves skin smoother and softer after just one shower. Dove Intensive Care Shampoo and Conditioner – Nourishes the core of each strand of hair to strengthen and repair it from within. Dove Invisible Solid in Original Clean – Dove moisturizers give you soft, smooth underarms. The formula is still strong enough to provide 24-hour odor and wetness protection, leaving a light, clean scent. >>> One winner will receive a $50 Rite Aid gift card. Be sure to watch the Dove “Speak Beautiful” video for inspiration. Positive thinking is so important to our mental well-being. How do you stay positive or encourage others to do so? Awe thank you!!!! I hope your weekend is fabulous! Love this! I don’t think anyone should in insulting other women. We all have our good days and out bad days. This is such a great idea! I think it is SO much better to build people up than break them down. It’s fun to give people complements and it makes you all warm inside when someone takes the time to do it for you too. everything in our lives could use more positivity, especially social media. This is a wonderful initiative, thanks for sharing! I couldn’t agree more. Positive thinking is powerful and it moves us toward a happier, better state. Being positive towards another person can make their day. As the saying goes from the movie Bambi, “If you can’t say something nice, don’t say nothing at all”. I really love this!! I also really love Dove products too. I use them all the time. They’re my favorite brand. This reminds me… I used to send out tweets about other female bloggers who have helped me out or done something amazing. I should get back to doing that. We could use more positivity on social media! I love trying to infect others with my energy and smile! We all need to be more friendly on social media though, send out the good vibes! I really do need to remember to be the reason someone smiles! I love how simple and effective this can be! 5 million negative tweets? That saddns me. I love this campaign and am all about tweeting positivity. I’m loving this positive message. We shouldn’t be putting ourselves or others down! I’d love to see more positive vibes on Twitter. This reminds me of the age old “if you having nothing nice to say, say nothing”…. all of those negative tweets makes me sad. Such a great campaign! I love this! Making someone smile everyday is a goal of mine. I try to be a positive person. I think it can be contagious. 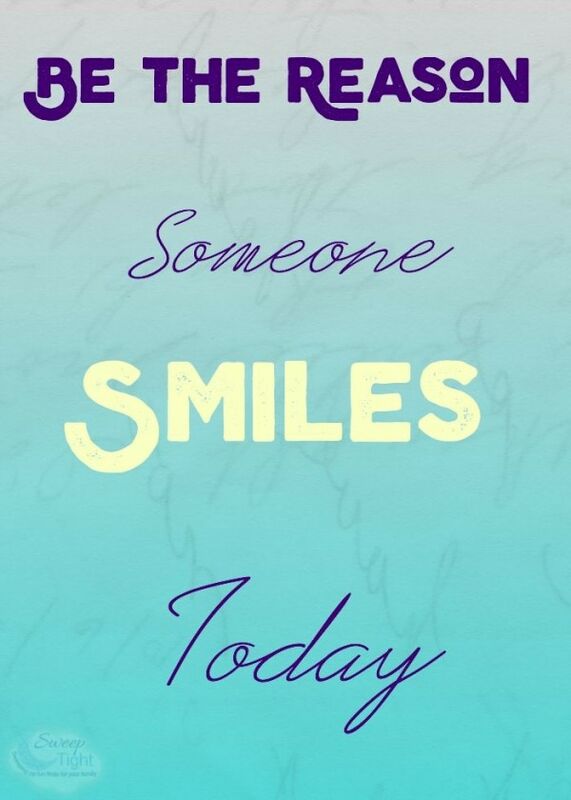 You never know when a smile will change someones day. It is important to try to be a positive person. I like to tweet positive quotes. I love this! I mean I wouldn’t be friends with anyone who talked to me the way I talk about myself! You’re so right! Being negative about a fellow lady’s appearance is nothing but bad! We need to promote positive body image and healthy self esteem for young women! I love the idea of positive tweeting. This will definitely send positive vibes to those who will read it. Beauty is confidence,charisma & character!